In the world of PC gaming, not only high end graphics card, motherboards and processors counts. Gaming keyboards and gaming mouse, like CM Storm Spawn Mouse, are also essential. These are like your weapons in the gaming world. And the key points here are accuracy, precision, functionality and effectiveness. Today, let’s take a look at Cooler Master’s Storm Spawn Mouse and the CS-S Battle Pad H2. Cooler Master has broadened its lineup for PC Enthusiast and Gamers. From its gaming cases and cooling peripherals, it has also ventured in gaming peripherals like gaming keyboards and mice. But is Cooler Master’s gaming mice ready to take on the challenge? Can it help a gamer frag better compared to other mice? 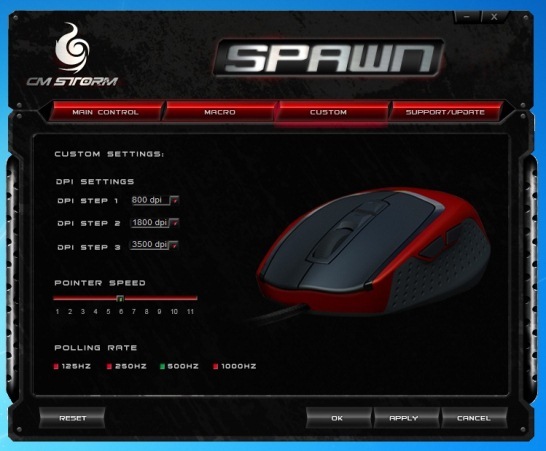 First, let’s take a look at the specifications and features of Storm Spawn mouse. Anti-Drift Control Sensor – for extreme stability, this feature provides lossless performance under mouse lift and drop. Onboard Sentinel-X 32KB – lets user store settings and customization in the mouse itself. Omron Micro Switches – utilize Omron’s patented micro switch technology, and guarantees a gamer with a minimum of 5 million clicks of life span. Ultra-Step Wheel Encoder (Japanese-Made) – allows user to navigate small distances with the scroll wheel. DPI On-the-fly – the user is able to switch from 800, 1800 and 3500 dpi with a push of a button. Anti-Slip Rubberized Grip Design – for better grip is the sides of the mouse enabling better control for the user. The packaging of CM Storm Spawn looks good. A fold is provided so you can see the mouse without taking it out from its box. This type of packaging is very common specially in gaming mouses. Overall the packaging looks great and it’s very appealing to the consumers. Unfortunately the package does not include the software for the Spawn mouse. You have to download it from their website. The CM Storm Spawn mouse itself is a small claw type mouse. If you are not familiar with different grip types, there are actually three types, namely palm grip, claw grip and the fingertip grip. 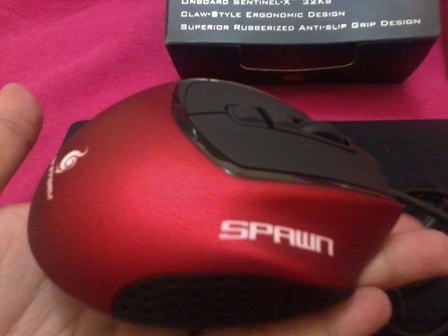 For those who are claw type users you will find the Spawn mouse very soothing to your palm and finger. There is a small curve where the name “Spawn” is printed for the ring finger to rest on. I’m not a claw type user, I’m more of a semi-palm grip user. It actually took me sometime to adjust to the spawn. But after a few days of using it, my palm was able to adjust. It has rubberized sides for better grip specially to those who have sweaty hands. The left and right button are finished with a smooth rubber-like or suede-like finish. Other than that, the whole body is panted with a nice red smooth matte. The feeling is great and this is what gamers are looking for in a gaming mouse. Beneath the Spawn mouse is the 3500 DPI Storm Tactical Sensor. 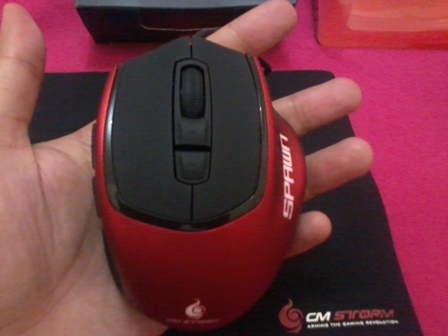 Just like a generic mouse, it also emits red light since it’s an optical type infra-red based mouse. But with 3500 DPI (dots per inch) you can cover your whole screen with less movements. 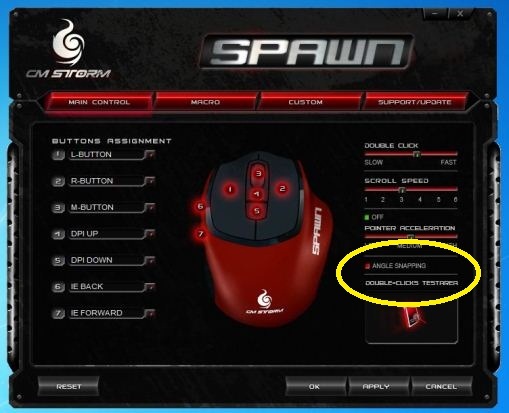 The CM Storm Spawn Mouse has 7 programmable buttons. The left and right click, two buttons on the right side, two buttons bellow the scroll wheel and the scroll wheel itself. 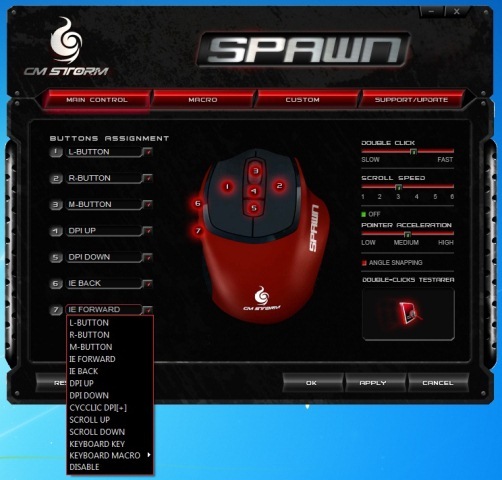 Below is a screenshot of the CM Storm Spawn Mouse software. As you can see there are 13 options you can do to a single button. I used the CM Storm Spawn Mouse for more than 1 week. Despite its small size, my palm got used to the “feel” of the mouse, silky and smooth. This gaming mouse has a feature called Anti-Drift Control Sensor for gamers who tends to lift and drop the mouse. But when I am playing FPS games, I don’t lift or drop the mouse. I simply take advantage of the DPI. The higher the better. The CM Spawn Mouse can only give you three (3) DPI options, 800 dpi, 1800 dpi and 3500 dpi. You can change the dpi settings on-the-fly by pressing the arrow up and down button located bellow the scroll wheel. Unfortunately there are no indications or status alert to inform you which dpi are you on. You can also adjust the polling rate of the mouse. The higher Polling Rate, the better. Polling rate basically means how fast the mouse communicates and transfer information to your PC. But setting it to the highest polling rate may have undesirable affect to the performance of your PC. The CM Storm Spawn mouse also has this Angle Snapping feature. According to the manufacturer’s site “one cane formulate the perfect flick shot and maximize their kill rates with sheer accuracy.” But based on my experience it actually got in my way. I can not control the mouse movement the way I wanted it. It feels unnatural and if you have your own style to frag it might lower your frag-rate. Good thing you can disable this nasty option. The software does not allow you to save more profiles, but it does save the settings you created directly into the mouse with the help of the on-board Sentinel-X 32KB. 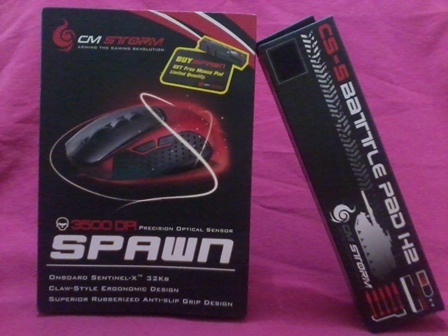 When you buy a CM Storm Spawn mouse, it comes with a CM Storm CS-S Battle Pad H2. And you don’t usually get a free premium mouse pad when you buy a gaming mouse. Below is the specs for the mouse pad. 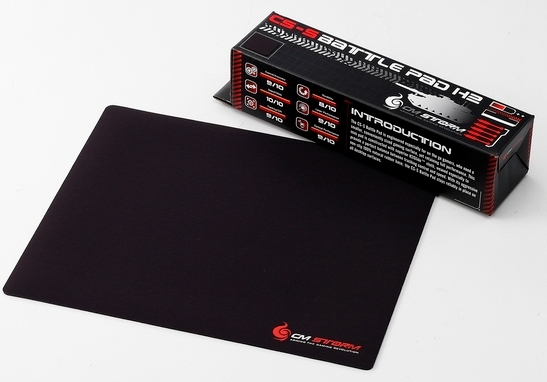 The free CS-S Battle Pad H2 is small, it has a plain black color with a CM Storm logo on the lower right corner of the pad. The surface of the pad feels good and this type of surface is for speed as the mouse easy glides through the surface. This pad has a rubber base for maximum grip on your table or surface. But the pad itself is quite thin compared to other gaming mouse pad out there. 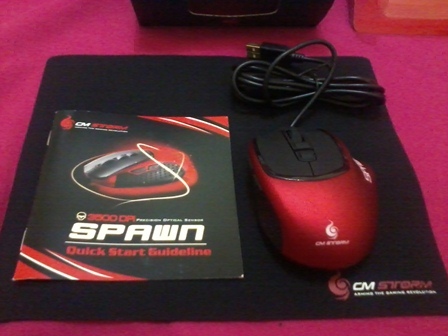 The CM Storm Spawn Mouse, considering that it is priced at around Php1,650.00 plus a freebie gaming mouse pad, is, in general, a decent gaming mouse. It looks nice and feels comfortable. But let me just remind you that the Spawn mouse is designed for claw grip users. If you are not a claw grip user, I would not recommend this to you. The CM Storm Spawn mouse has still more rooms for improvements. Compared to other gaming mouse, the Spawn mouse lacks features that professional and serious gamers are looking for. But because this mouse is relatively cheap, the price somehow compensates for it. 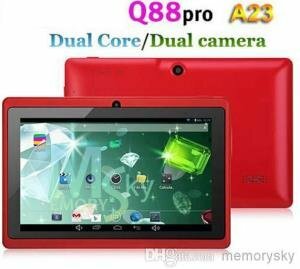 Check out the manufacturer’s site here. Thanks Sir Joseph for sending the items for review!